Snowflake obsidian is a semi-precious gemstone known for its black background and snowflake-like white spots. It has long been traded by jewelers and collectors alike. Obsidian is a naturally created glass that is formed from lava during volcanic eruptions. Snowflake obsidian is also known as flowering obsidian and spherulitic obsidian. As with traditional obsidian, it is a glass-like shiny black gemstone. It features either gray or white snowflake-like patterns. 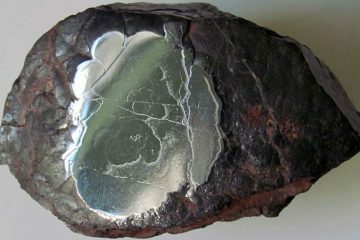 The patterns within the obsidian will vary in size and shape. Snowflake obsidian differs from traditional obsidian due to the inclusions that form this pattern. Traditional obsidian is cooled so rapidly that it does not develop crystals. Snowflake obsidian has a Mohs hardness of 5 to 5.5. 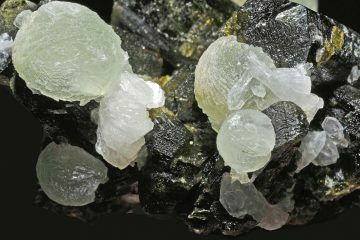 It is a translucent gemstone that is hard, brittle and can fracture easily. Obsidian has been used in surgical scalpels due to the sharpness that it can maintain. However, snowflake obsidian cannot be used for these purposes because of its inclusions. The crystals found within snowflake obsidian are a type of quartz crystal. Obsidian can also be found with a golden sheen or a rainbow sheen. Snowflake obsidian is a very common material that is used in fashion jewelry and for sculptures. 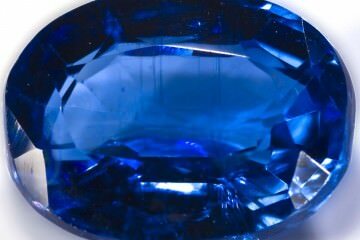 It is one of the few gems that is found in large quantities in North America. It is usually found in large sizes of workable material which allows many types of work to be done with it. It takes extreme care to deal with properly due to the brittleness of the material. It is often found in beads and cabochons and it is never faceted. While snowflake obsidian is usually black it can also be found in shades of gray and brown. It may also be banded. 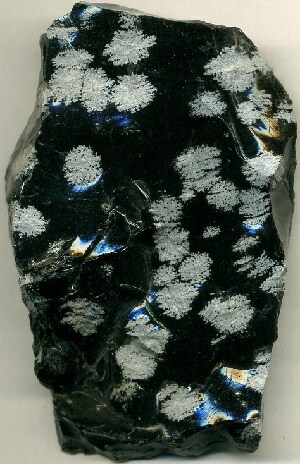 Most alternative colors of snowflake obsidian are not widely traded. Obsidian has been used since ancient times. Pliny the Elder wrote about obsidian stone two thousand years ago. It has been mined and used for jewelry and sculptures by many cultures since then. Obsidian is found anywhere that has experienced volcanic eruption with rapid cooling. However, no snowflake obsidian has been found that dates before the Cretaceous period. It is believed that even primitive mankind may have used both snowflake obsidian and obsidian for jewelry, tools and weaponry. Snowflake obsidian is extremely similar to glass. Care must be taken not to fracture jewelry pieces that include snowflake obsidian. It is difficult to scratch but it is extremely brittle and may break or fracture easily. It is best cleaned with a warm, damp cloth. Jewelry cleaner can be used on snowflake obsidian as well. Care must be taken around broken snowflake obsidian as it can easily cut a handler. Snowflake obsidian should also never be ground without appropriate safety precautions. Ground snowflake obsidian has the same effect as ground glass and may lead to medical issues such as silicosis. Snowflake obsidian is usually a fairly inexpensive and common gem. The rarest snowflake obsidian is that which would show the most contrast between the inclusions and obsidian. 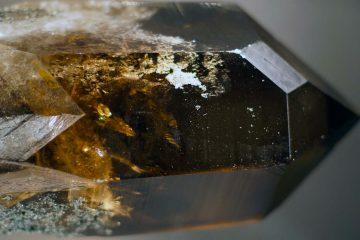 This means that gems with a deep black translucent background and extremely white inclusions will be the most valuable. Gemstones that appear murky and opaque or that have gray and not white inclusions are usually less valuable. Sharper delineations between the inclusions and the stone are also more prized, which means that the clearer the line is between the white inclusion and the black background the more expensive the stone may be. Snowflake obsidian will often be found in strands of beads and sometimes in sculptures.